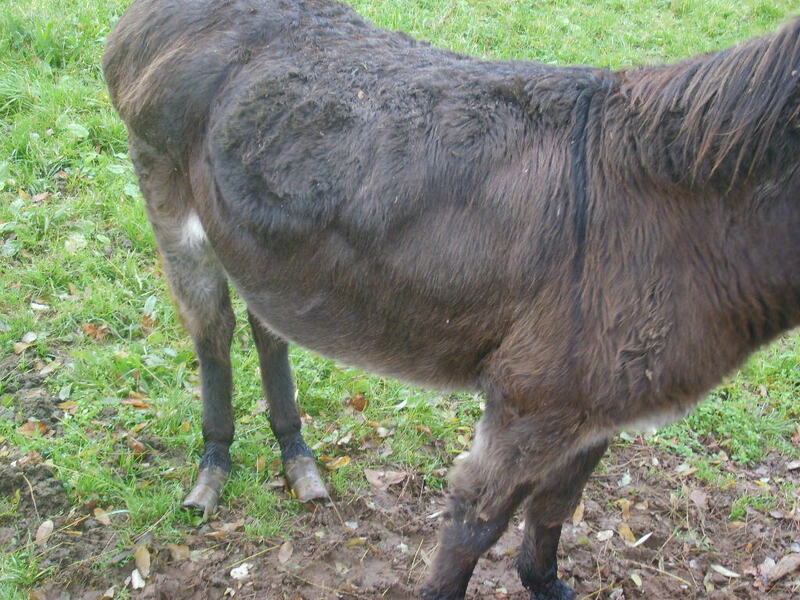 Home » Donkeys » Too fat or too thin? 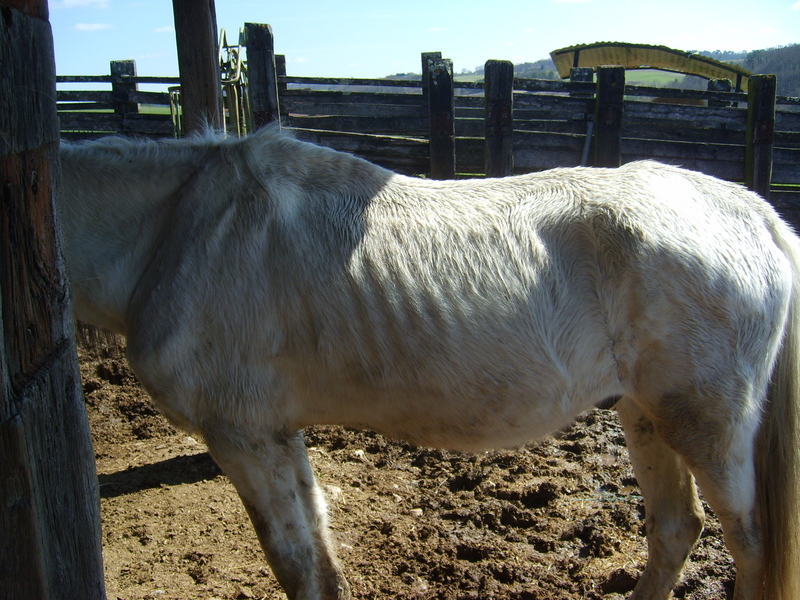 From a welfare point of view it is just as dangerous for an equine to be too fat as it is too thin. Being able to condition score and knowing the weight of your equine is very important when it comes down to feeding, worming, rugging and working your equine. Firstly you’ll need to know how to rate your equine’s bodyweight on a condition score of 0 to 5. The ILPH have a very good web page here that you can print off as a guide. Weight tapes can easily be purchased now that give you an idea of how much your horse weighs…imperative for knowing how much wormer to administer! Bear in mind breed types whilst reckoning your score. If your thoroughbred looks like a show cob, then he may be nearer a 5 than a 3! Alternatively, if your heavier breeds resemble a working thoroughbred type, your equine is probably closer to a 2 or a 1 than he or she should be. It is not just horses and ponies whose weight you have to monitor. Donkeys are just as much at risk of being under or overweight as this photo shows. For some more advice on donkey condition scoring and fact sheets on donkey care go to this Donkey Sanctuary page. Dental problems-Have your equine regularly seen by a dentist. Injury and pain related conditions. Equines that are overweight could also be at risk from Laminitis, heart, lung and joint problems and it can also be a sign of Cushings disease. With the winter now approaching you may want to start considering if your equine needs a rug (especially older animals), shelter, the condition of your grazing and the hay/feed rations they are now receiving.